Tubesheet weld heads makes tube-to-tubesheet welds easier and more precise. 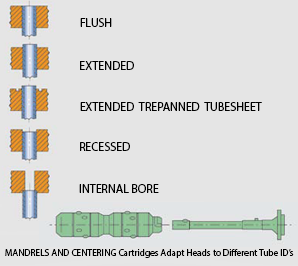 Magnatech LLC’s tubesheet heads are designed to make tube-to-tubesheet welds precise and repeatable. These are orbital weld heads optimized for fusion and wire feed for GTAW tube welding applications. 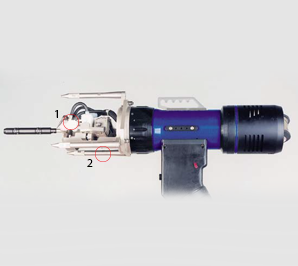 The models 424 and 425 provide for filler wire addition for fusion welding. An integral head-mounted feeder is standard. We supply three rugged design models that can cover the size range of 10 to 140 mm (0.4 to 5.52”) OD. 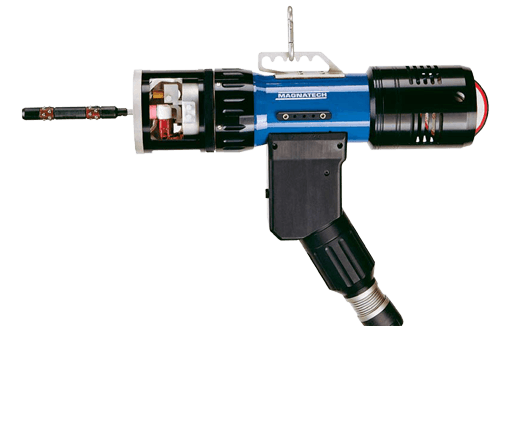 These easy to operate weld heads improve productivity by increasing duty cycle, reducing repair rates and producing welds of consistent quality.